General Motors has more vehicles on the way that will be built in the United States, company CEO Mary Barra assured reporters at the recent Automotive News World Congress in Detroit. 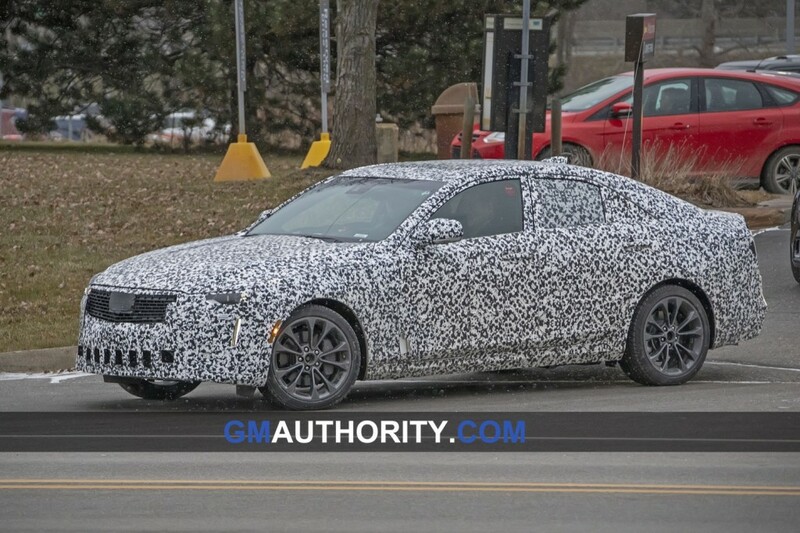 GM announced last November that it would idle plants in Michigan and Ohio and discontinue the Chevrolet Impala, Volt and Cruze along with Buick LaCrosse and Cadillac XTS. US production of the Cadillac CT6, which is built at GM’s plant in Hamtramck, Michigan, will also cease, although the vehicle may remain on sale, with GM likely to source cars from its CT6 plant in China. The automaker also announced it would cut 8,000 white collar jobs from its workforce. Despite these job cuts, though, the automaker isn’t turning its back on America, with more US-built products coming down the pipe. “We have more products coming that we will build in the United States,” Barra said, refusing to elaborate on its future product plans. It’s possible that GM could build its forthcoming Cadillac products in the US, such as the CT4 and CT5 sedans, the new Escalade or the unnamed battery electric crossover. With more profits to be made on luxury vehicles, it would make more sense for GM to build these products in the US and move production of vehicles with smaller margins to Mexico or China. Barra said GM has “other plants that are lower in capacity utilization that we would want to increase.” Under capacity GM plants include the Lansing Grand River and Orion Township sites in Michigan and Fairfax Assembly in Kansas. “We need to make sure that we keep the capacity utilization up at other plants that we’re still working to improve,” Barra added. As of last summer, GM’s passenger car plants were operating at 37 percent of their maximum production capacity, while some of its truck and SUV plants were running three full shifts a day at 105 percent capacity. Want to know how we can tell Mary is lying? She’s still breathing. It’s all about profit, boys and girls and more importantly Mary’s bonus! This woman has no loyalty to America, She’s a globalist and would sell the U.S. in a minute to the highest bidder. Although, I’m a U.S. resident and citizen, I feel for the Canadians. She sold out on a Country who has been a friend and ally. I still waiting for the Mexican ARMY to support us in a conflict. I have an Equinox and an Impala, both built in Canada……no problem for me, But, when I see GM cars being pumped out by a Communist Nation, or a Country that has caused us so much havoc in the past twenty years with illegal immigration, drugs, crime, etc. well, why do we enable these people with our business? GM doesn’t care about it’s loyal customers. They are hoping that most people are dumbed down to the point where they don’t ask where the car/suv/truck was made. I’m ready to buy two new vehicles. Should I support the Japanese who employ American workers or GM who support Mexican and Chinese workers and make more money for their share holders? BTW……….have you heard GM got taken to task by TOYOTA buy saying GM vehicles are the Most Reliable Vehicles in U.S.A.
Next year, with the discontinuation of the Sonic & Cruze, GM sales in Canada will probably drop to 260,000 a year. Which is exactly the number of Equinoxes they will build in the Country. GM is the largest auto retailer in North & SOUTH America. South America is among the fastest growing regions for Auto sales. More and more of the vehicles GM builds in Mexico will be headed south. If he had not sadly passed away my choice would have been Sergio Marchionne! One needs to look at all factors not just the ones of interest. Companies are run on smart tough decisions not emotions. Lutz has a good out look on what is going on. He looks at the big picture not just monthly sales of the Camaro. Damage control, until real plans with specifics are announced. Is this more acceptable to some? How can you tell if Mary is lying? Her lips are moving. Despite all the emotions and hype around this subject this does make sense. GM does have a lot of underutilised plants. Rumour has it LGR will be tooled to add the CT6. The XT6 is going to Spring Hill. Orion is likely going to be GM’s first all electric vehicle manufacturing facility and I see the Bolt EV along with a couple of other EV models produced there in the near future (likely adding a shift). Even after this restructuring GM will continue to have ten final assembly plants in the US. I don’t see much more going to Mexico simply because GM’s three factories in Mexico are all now running at near capacity. GM hasn’t made any large investments in Mexico in over a decade and I don’t see that changing anytime soon. Also of note GM produced a bit over 350K vehicles in Canada in 2018. GM sales were just a bit over 250K in Canada. Oshawa produced approximately 110K vehicles in 2018 which is severe under-utilisation for a facility that at one point in history was the worlds largest automotive manufacturing site. If GM closes Hamtramck and Lordstown, it will have 9 Assembly Plants in the US – Orion, Lansing Grand River, Lansing Delta Township, Arlington, Flint, Fort Wayne, Fairfax and Spring Hill and Bowling Green (which is more of a low-volume specialty plant). This compares to Ford that will have 10 (Kansas City houses two assembly lines) and FCA that will have seven. Including Canada, the total is GM 10, Ford 11, and FCA 9. So much for GM being the leading car company in the US. It would not surprise me to see Ford, Toyota, and even FCA outsell GM on a monthly basis. Thanks for seeing my point………..sooner or later, real people will buy Fords, Dodges, or foreign makes made in America and GM will be the next AMC or Studebaker!